President Ma Ying-jeou committed himself and Taiwan to developing their economic status to a higher level than standards set by the OECD. President Ma Ying-jeou yesterday [12 October 2011] pledged to develop Taiwan's economic status beyond the standards of the Organization for Economic Co-operation and Development (OECD) by activating a series of construction projects as part of his Golden Decade pledges. 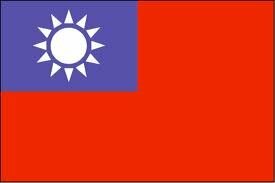 "At the current stage, it is difficult for Taiwan to join the OECD; however, the government will enhance the basic developments of the nation in the upcoming decade to beyond OECD standards," Ma pledged, proposing to build Taiwan into the transportation hub of East Asia and to promote balanced development within regions, in addition to perfecting basic water and electric systems. The sixth goal of his Golden Decade proposal, "comprehensive construction," an extension of Ma's 2008 campaign promise, entailed improving Taiwan from the very basics that are most relevant to people's livelihoods, as well as constructing Taiwan's international competitiveness - beginning from domestic transportation and economic developments, which are bound to spur awareness internationally. In regards of basic developments, Ma proposed that it could be expected that 6 million households would be equipped with electric meters within ten years, while the water-leakage rate would decrease from the current 20 per cent to 15 per cent in ten years. Also, construction of the sewer system - which has long been a weakness of Taiwan even when compared with some less developed countries, Ma noted - would be rapidly promoted: connection of household sewer channels would be increased to 49.8 per cent from the current 28.8 per cent within ten years, and the overall rate of sewer treatment should also increase from the current 56.4 per cent to 79 per cent within ten years. "This construction has long been ignored by politicians," Ma pointed out, because it is invisible to most, it is expensive, and might disrupt people's daily routines; for its importance to the nation's development, however, "I highly value the sewer system construction," he emphasized. The government can take advantage of Taiwan's convenient location on the world map and build the country into East Asia's transportation hub, Ma said. A third terminal would be added to the Taiwan Taoyuan International Airport to promote all domestic, cross-strait, and international flights. The Kaohsiung Harbor would be promoted into a flagship intercontinental container terminal, which would lead all the industrial development of Taiwanese harbors in the long run. Because the energy expenditure of rail transportation is lower than that of highways, Ma pointed out that by 2022, Taiwan's railway system would be upgraded so that the number of people it serves would rise from the current 66 per cent to 80 per cent, and public transportation could be better utilized. For its convenience, the highway system would continue development, as Premier Wu Den-yih promised: "The island-wide highway system would also be established in the future," when ecological sustainability could also be balanced. Also, Ma emphasized the importance of encouraging every city in Taiwan to develop its advantageous industry. With the three metropolises as center, even the satellite cities should receive balanced attention to help encourage development of their own strengths, so that all of Taiwan will eventually become equally developed.